Put your pitchforks away, it’s still important. It’s just not everything. Don’t get me wrong: conversion is and should be a huge concern for ecommerce owners and managers. After all, if customers aren’t buying, there’s no business. That being said, new visitors to your site are lukewarm leads at best. There’s a reason why the average conversion rate for ecommerce is between 1-2%, between bounce rates, browsing abandonment rates, and cart abandonment rates, it’s difficult to get customers all the way through your sales funnel. And while increasing your conversion rate should always be a priority, it’s not necessarily the easiest task to tackle. But what if you could increase your revenue with the conversion rate you have right now? That’s where boosting your average order value comes in. Your average order value is the average amount that customers spend on your site. Increasing your average order value is a lot simpler than increasing your conversion rate because your customers already want to purchase from you. And sometimes, a little carrot is all you need to get your customers to purchase more and significantly increase your revenue. What is Average Order Value and Why is it Important? Your average order value is basically the average amount that your customers spend at your store. It’s pretty simple to figure out, just take your total revenue during a certain time period and divide it by the number of orders you had. Or, you know, let us do it for you. We like math. 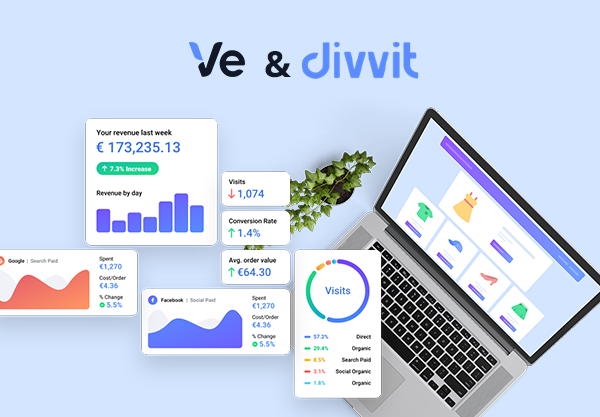 In fact, Divvit's ecommerce customers experience an average order value of $116.75 (over 925307 orders) so far this year. This works out to $108,034,119.55 in total revenue for our customers. Imagine how much that AOV would be if we added just $4 to it? Hint, it's over $ 3,700,000 more. Average order value has an impressive impact on your total revenue. 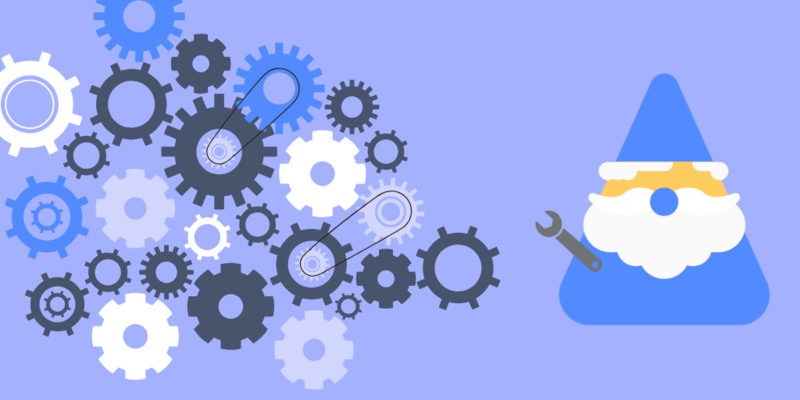 Increasing your AOV is a lot simpler than increasing your conversion rate. It’s so much easier to convince a customer that already wants to purchase from you to tack on a few bucks than it is to convince a visitor to get all the way through your sales funnel. Think about this, say you have 1500 customers per month and your total revenue is $120,000 per month, your average order value works out to $80 per order. Let’s say you got each of those customers to order $5 more. That’s an extra $7000 with half of the work. Even just two extra dollars puts you at $3000 more. These small amounts are an easy decision for the customer, especially if the value that you’re offering helps them justify the extra spending. This is where the carrot comes in. There are tons of ways to increase your average order value, and all of them work to incentivize your customers to purchase a little more. Test each of these tactics for best results and implement a few that work the best for your customers. Upselling is the concept of trying to get a customer to purchase a newer, better, or more expensive product. The idea is to incentivize the customer so that they justify spending more than they anticipated. While that might sound a bit more dark side than you’d like, it’s really not. What you want to do is to show the customer the value upgrade that they would get if they spent just X amount more. For example, if you’re purchasing a mobile phone for $800, unless you’re strapped for cash, spending $100 extra for twice the memory won’t seem like that big a deal. The difference in price is nothing compared to the value that the more expensive product is offering. Note above that double the storage is only $20 more expensive. But Amazon goes even further by recommending the entire line of Kindle Fires above the product. While the Fire HD might not necessarily be worth it for $10 more at first glance, 32 GB storage might be the carrot your customer needs to spend $99 in lieu of the original $49. Is every customer going to have the same thought process? No. In fact, according to a study by PredictiveIntent, upselling might work on 4% of your sales. However, if that 4% is spending $100-$200 more with each purchase, it’s definitely worth testing for your customers. Another great way to tack on a few bucks to your average order value is to offer complementary products (in lieu of better ones with upselling). Cross selling is when you propose products that go well with the product that a customer is looking at or has added to their cart. The idea is to offer a product that might also interest the customer so that they ultimately purchase a bit more than they were originally interested in. Because I’m interested in a coffee maker, maybe I’ll also want a waffle maker, a toaster, and whatever that thing is in the middle? While the complementary products that BestBuy is showing above might be interesting, there is absolutely nothing in my behavior as a customer that would lead them to believe that I would be interested in them. The products are related in category only. Better complementary products might have included coffee filters and products to clean the machine. If your customer is buying this product for the first time, they might need coffee filters to go along with it. Even if the coffee filters are a touch more expensive than what they could find elsewhere, the convenience of purchasing it all in one go is worth a few extra cents. However, their upselling game is a good example- check out the product in the center. 5-stars, only $2 more than the product I’m looking at, with a reputable brand behind it. Chances are, I’d click on that link to compare the two. According to Barilliance, the conversion rate of customers who have clicked on product recommendations is over five times higher than customers who hadn’t clicked. Here, I’ve gone to Michaels to look at colored pencils. Their product recommendations make sense: similar sets of colored pencils if I want different colors, a sketch pad made for drawing with pencils, a pencil sharpener, etc. There’s even a bit of personalization based on what I was looking at on Amazon yesterday (hence a confetti balloon that seems to come out of nowhere). The only critique that I would give Michaels is to limit their recommendations. This is almost too much choice, and might be overwhelming to the customer. Offering three or four hyper related products will ultimately work better than the carousel of 15 products. Regardless, this is a good example of recommending products that make sense to your customer. Extra bonus if you suggest products the customer has previously viewed. Your recommended cross-selling products can be completely utilitarian. For example, offering gift wrap (especially around the holidays) is a great way to offer convenience to your customers, while driving your average order value up a few dollars at a time. If your product requires batteries, add them on! There’s nothing worse than a parent buying a toy for a child and forgetting to grab batteries. The best part of this? Your customers will probably thank you for reminding them to do so! Recommending products that have a logical tie to the original product that piqued your customer’s interest is one of the best ways to increase your AOV. Another fantastic way to drive up your AOV is to offer bundles on your site. Bundling your products is when you propose all of the products to your customer in a one-price group. So the customer is interested in the party decorations above, and Amazon proposes a bundle with a table runner in the same theme. Note that you can add both items to your cart or wishlist with one click and you get the total cost of both items. The idea is to bundle products that are directly related to one another, and to remove obstacles if customers want to add them directly to their carts. This is a great example. I didn’t even know I needed purple plates. Bundles can be super effective when you’ve got two or more products that go very well together. This is really simple if you sell apparel, especially if you have a lookbook with your fashion suggestions. The key with bundling is to make it worth the customer’s while. If the extra items don't give any extra incentive to order, for example, if it’s not cheaper or easier to order from you, they’ll never work. 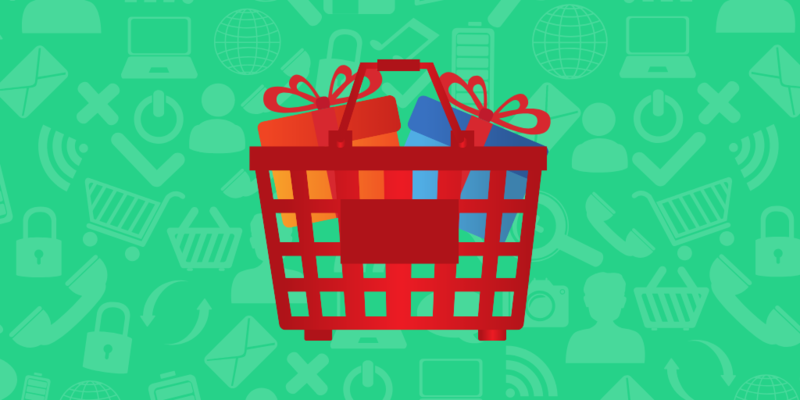 In this case, you have to incentivize your customer to add more to their cart yourself. One great way to get customers to purchase a bit more is to offer a discount or free shipping threshold. Think about how much you want to add to your average order value, and offer a discount so that you’re hitting that amount when the customer purchases. This is the first thing that draws the eye when you land on the page, and it’s prominent. Sears customers will get free shipping with any order of $25 or more. $25 is basically nothing for Sears, considering that the average price of a product at this store is typically about that or more. This is an easy threshold for your customers to hit. Note that Sears has put in place a discount system based on how much the customer spends. The incentives get higher as the customer spends more, making the customer want to hit those thresholds. Note that while some customers will come to Sears for one specific item with a specific budget, if a customer is looking for certain products that are also available at other stores, this could be enough of an incentive to make the customer purchase it all at Sears. Note that there is a dynamic counter that shows how long the customers have left to take advantage of the discounts. This plays on the emotions of the customer and creates a sense of urgency. What’s interesting about this is the placement. You can see the threshold just above the cart, where a customer’s eyes will often be as they add items to their carts. Offering an incentive is the carrot you need to get your customers to purchase a bit more. The key to doing it right is to make this an amount that’s attainable for your customers. No one is going to spend $100 more for a 10% discount if they normally only spend $50. However, $70 for a 10% discount? That’s justifiable. Let’s use Sears’ example: say a customer has about $75 in their cart. They currently hit the threshold for $10 off their purchase, but they’re not so far from the $20 off threshold either. They could ideally get $25-worth of more products for only $5 more. That is enough added value to make the customer add more items to their purchase. A loyalty program rewards your customers for choosing to shop with you over the competitor. The idea is to create a program based on how much the customer spends, and to make it more expensive for the customer to shop at the competitor’s ecommerce store. You can set up a loyalty program based on tiers that customers need to reach to get their discounts. This will incentivize your customers to spend a little more to reach that second level. Loyalty programs work really well: loyalty rewards members spend at least 13.71% more in average order totals over customers who aren’t a part of the program. Even so, rewards programs can boost average order value by 25%-50%. Loyalty programs work the best when you surprise your customer with freebies, discounts, and rewards for no reason at all. When you do these kind of “no reason” gifts from time to time, your customers feel appreciated, and you essentially quash any chance they have of moving to the competition. Average order value is one of the most important ecommerce metrics you can track because it boosts your revenue easily without all the extra work of converting customers. By boosting each order by just a few bucks, you can amplify your sales revenue and offer amazing products to your customer at the same time. A lot of these tactics work even combined, but be sure to always test these strategies, and of course, always keep an eye on your data for the best success. What strategies work best for your ecommerce store’s average order value?